Amy Bearce presents the second book in her World of Aluvia series. Beneath the waves, Phoebe learns she's more like her sister than she realized. 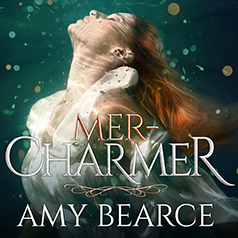 The merfolk are drawn to her, and she can sense the magic of the sea all around her. Magic is finally at her fingertips, but that’s precisely why the stirring dark power under the waters decides it wants her most of all.